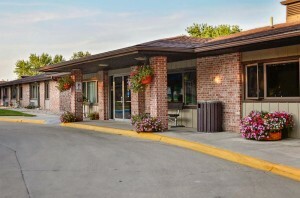 Leinbach Center is THE community room in Belmond, Iowa. It can seat 104, plus a living room area. The Leinbach Center has hosted special 100-year birthday parties for our tenants who reach that milestone! 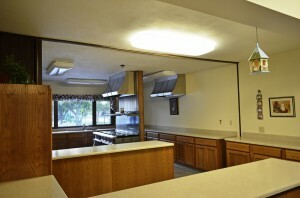 It has a full service kitchen and seating for 104. Also available when using the Center are coffee pots, punch bowls, serving trays, etc. 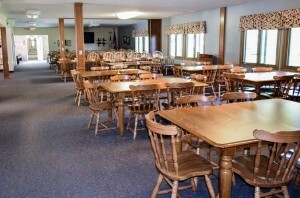 You can cook a family celebration meal here, or have it catered. No alcoholic beverages are allowed. On October 1st of each year, management begins taking reservations for the upcoming year. 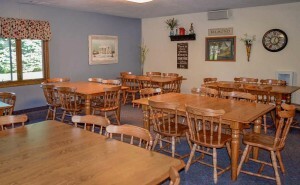 It is very popular in the summer for family reunions and again at Christmas time for family celebrations. 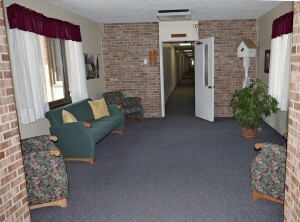 People can reserve the center by contacting the office manager at (641) 444-3066. 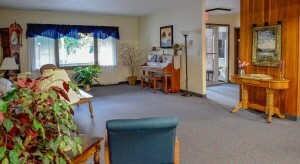 There is a free will offering for use of the Center with a suggested donation of $75.